No trip to a historic, American city would be complete without taking home a piece of history. America! is the perfect stop for domestic and international travelers alike - with unique gifts featuring the local experience, as well as the nation’s pride, politics and culture. America! is located in The Underground. Below the Knee is located in The Underground. Television City is bustling with cool apparel and must-have souvenirs featuring both classic TV shows and new favorites. CBS Television City is located in The District. Carrying all of your Vegas vacation needs including resort logos and fashion apparel for men and women, logo souvenirs, sundries, snacks, alcoholic and non-alcoholic beverages. Essentials is located in The Central. Located near the Grand Tower guest elevators, this store has alcoholic and non-alcoholic beverages, tobacco, snacks, sundries, newspapers and magazines. The Front Page Newsstand is located near the Grand Tower guest elevators. Conveniently located in the main lobby of MGM Grand, this store carries resort logo and fashion apparel for men and women, logo souvenirs, sundries and snacks including alcoholic and non-alcoholic beverages. The Grand & Company is located in the main lobby of MGM Grand. Grand Express offers a variety of snacks and beverages to keep you going without slowing you down. From the Las Vegas strip walk through The Central toward the Buffet. Pass the Buffet, Beachers Madhouse and Avenue Café. Continue past CRUSH and turn right when you reach L’atelier. Continue straight toward The District. Walk through The District past Craftsteak and PUB 1842. Grand Express will be on your right, just across from Blizz. From the front desk, begin walking straight through the casino and bear right after The Lobby Bar. Walk straight toward the KA Theatre and then take a right toward The District. Walk through The District past Craftsteak and PUB 1842. Grand Express will be on your right, just across from Blizz. Bring the Jabbawockeez’s awe-inspiring choreography and pulse-pounding music home with goodies for the whole family from the Jabbawockeez Store. From the front desk, head toward the casino floor. As you walk straight toward Avenue Café, bear left and continue walking through the casino. Jabbawockeez Theater will be on your right. From the Las Vegas Strip, walk around the Central toward the Race & Sports Book. Continue walking straight, past the Buffet and Jabbawockeez Theater will be on your left. One of the most celebrated nature photographers of this generation, Jeff Mitchum brings his vision and inspiration to MGM Grand. The Jeff Mitchum Gallery is located in The District. Located right next to the KÀ Theater entrance, this boutique is the ultimate collection of Cirque du Soleil merchandise and souvenirs. The KÀ Boutique is located next to the KÀ Theater, which is on the MGM Grand casino floor near Joël Robuchon and Wolfgang Puck. Las Vegas Harley-Davidson features one of the largest assortments of co-branded merchandise and biker regalia, including Las Vegas-exclusive clothing, leather apparel, accessories, shoes, gifts and collectibles. Las Vegas Harley Davidson is located in The Underground. Misura is a lifestyle destination for discerning gentlemen with impeccable taste, looking for contemporary fashion on the go. Whether dressing for a business trip or a night around town, men will find a carefully curated collection of apparel, footwear and accessories for every occasion. 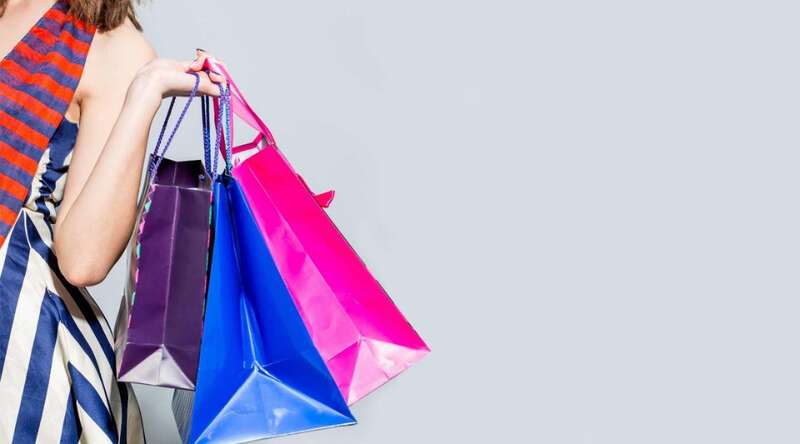 The store carries an assortment of iconic brands including Hugo Boss, Robert Graham, Tommy Bahama, Stance, Bugatchi, Fossil, Under Armour, and more. Misura is located in The District. Nectar Bath Treats hand crafts delightful bath and body treats made from naturally luxurious ingredients that indulge the senses and keep skin looking healthy, radiant and fresh. The fun and whimsical pieces of art are cruelty free and plant based. From the front desk, begin walking straight through the casino and bear right after The Lobby Bar. Walk straight toward the KA Theatre and then take a right toward The District. Walk through The District past Craftsteak. Nectar will be on your right just after you pass Starbucks. From the Las Vegas strip walk through The Central toward the Buffet. Pass the Buffet, Jabbawockeez Theater and Avenue Café. Continue past CRUSH and turn right when you reach L’atelier. Continue straight toward The District. Walk through The District past Craftsteak. Nectar will be on your right just after you pass Starbucks. Optica carries stylish sunglasses from iconic fashion brands including Cartier, Prada and Dolce & Gabbana. They can also fill eyewear prescriptions. Optica is located in The District. From the latest in fashion to the perfect Vegas swimsuit, Paradiso offers the hottest and most glamorous women’s wear, shoes and accessories. The store features an enviable list of designers, including BCBG, Gracia, Ray-ban, Betsey Johnson, Joseph Ribkoff, Bernie Mev, Vince Camuto, Flitflop and Toms. Paradiso is located in The District. Seasonal swimwear and active apparel. Quicksilver is located in The District. Located in the Underground, REVIV is novel concept in elective hydration and vitamin & nutrient therapy. REVIV's certified medical staff offers 5 different hydrating IV Infusions and 4 different energy & wellness Booster Shots. REVIV wellness treatments will replenish, restore and revitalize your wellness during your stay in Las Vegas. REVIV Wellness is located in The Underground. Rocks the Jewelers offers exceptional quality, service, and value with a beautiful selection of both jewelry and watches – timeless pieces you’ll wear forever. Rocks the Jewelers is located in The District. Spirits & Co. is your one stop shop for all things beer, liquor, and snacks. Stupidiotic is a specialty retail store featuring a wide variety of ingenious and UN-genius products and ideas. Some will be amusing. Some just confusing. Most are genuinely thoughtful and sensible – in a Stupidiotic sort of way. Stupidiotic is located in The Underground. Specializing in bringing movie, music, sports, and history memorabilia to you. The wide range of collectibles including: screen used movie props, items owned and worn by Hollywood's A list celebrities, ad autographs from your favorite stars. If you have favorite heroes (or anti-heroes) from history, TV, movies, music and sports - Art of Music has their goods. The Art of Music is located in The District. The Forever Flawless line pursues perfection just as a flawless diamond is perfect and of the highest grade. Catering to those who seek to defy the aging process and to retain their fresh, energetic, revitalized, and rejuvenated appearance. The Beauty Shop is located in The District. The iconic Las Vegas landmark, one of the most fabulous and photographed locations in the world, inspired store design, strong brand image and merchandise assortment. The venue features a kitschy-to-glitzy array of Las Vegas-emblazoned souvenirs, novelty gifts, keepsakes, apparel, and accessories. A one-stop shop where visitors can find a perfect memento of their visit to Sin City. Welcome to Las Vegas is located in The Underground. From the front desk, walk toward the escalators located next to the main entrance doors. Descend the escalators and continue straight past Fat Tuesday. Welcome to Las Vegas will be on your left. From the Las Vegas strip walk through The Central toward the Buffet. Pass the Buffet, Beachers Madhouse and take a right at Avenue Café continuing straight to the hotel lobby. Continue through the lobby to the escalators next to the main entrance doors. Descend the escalators and continue straight past Fat Tuesday. Welcome to Las Vegas will be on your left. Located in the West Tower, this store carries alcoholic and non-alcoholic beverages, tobacco, snacks, sundries and confections. The West Wing Boutique is located in the West Wing. Begin walking through the casino floor and bear left as you walk past Avenue Café. Continue walking past Beacher’s Madhouse, the Buffet, and the Race & Sports Book. Take a right at the Hakkasan Nightclub. The West Wing Boutique will be down the hall on your left. As you enter the hotel bear left and after passing Hakkasan Nightclub, follow the hallway on your left. The West Wing Boutique will be on the left. 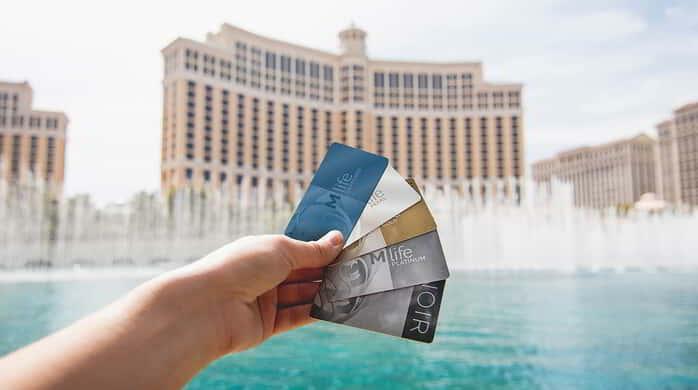 MGM Grand Gift Cards are accepted at more than 15 of our MGM Resorts around the world.